The whole point of starting a business entity is to see it succeed. As a business owner, you might have the right set of contacts and tools to execute your plan but if you do not have a good and consistent bookkeeping then it might affect your business. If you are confident that your business has an updated and thorough bookkeeping, then any problems in the future related to the revenue or cash flow will be identified early. In case your bookkeeping is lacking behind even by a few months, it could arise in issues which are being unchecked and problematic. Seeking the service of affiliated accounting firms will help a business stay on top of its books and help in identifying problems early which if left unchecked could be fatal for the business. Every business should start the management of cash flow right away from the time it is established. The minute there is a delay in the invoices, there is going to be zero outgrowth on payments made to the business. Even the slightest spars on the cash flow will eventually bring the business down, however, this can easily be avoided with bookkeeping. An accurate bookkeeping systematizes the follow-ups and invoicing of your business whilst paying your suppliers on time. 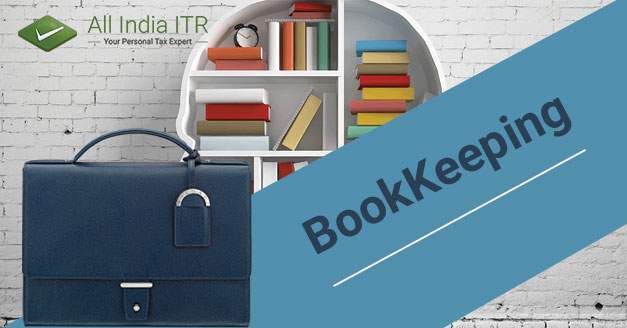 Bookkeeping helps in maintaining an update of all the information and documents which will be necessary to produce while paying annual taxes. At the time of filing a tax return or during tax payment, there will be no need to run from one place to another collecting the documents required because bookkeeping has everything in the record. Filing for return also gets a lot easier with an organized Profit & Loss, Balance Sheet, and Cash Flow. A precise and consistent bookkeeping allows a business to report and share its financial status to the investors without hesitation which gives investors the confidence on the financial health of the business. Everything your investors requires (graphs, charts and the lists of data) can be easily presented straight from your book of accounts. Bookkeeping helps the business to keep a record of all the financial dealings and organizes all types of big or small invoices. Once the time for auditing arrives, it becomes easier to retrieve the financial record of the business. A good bookkeeping always succeeds in preserving the financial facet of a business perfect and in place. Bookkeeping helps in identifying the fine line between bankruptcy and success which can literally help save a huge amount of money of the company. Previous articleWill GST make the trading of goods and services easier? All India ITR, one of India’s leading tax prep websites offering personal tax solutions focussing on income tax return filing through tech platforms, be it the web, Android or iOS, is dedicated to making tax returns as easy and convenient and yet as complete as possible. With value added services to help maximise tax savings and minimise tax outgo and tax investment advice the comparative advantage of specialization allows us to uniquely serve our clients. All India ITR is certified to conduct E-return intermediary services by the Income Tax Department of India. All India ITR is more than just a tax preparation platform. Read expert analyses on tax policy, views, reviews, updates, fun facts, opinions and more on our blog! We welcome and appreciate your feedback.